Septic and sewer problems are amongst the most commonly encountered domestic, commercial, and industrial plumbing jobs. A damaged, blocked, or clogged sewer drain or septic system can stop toilets and other fixtures from working properly, and can even result in a back-up of sewerage material which results in flooding and hazardous spills. Septic systems are probably the most important element of modern plumbing systems, as they remove hazardous waste material from our buildings and ensure that the clean water supply is not polluted with waste particles. A blocked septic system can also result in waste water and material coming up through floor drains, as these are the lowest point in your plumbing system. When water builds up in the system due to a blockage, it will start to flow back out through the lowest point. If you don’t have floor drains, then material may flow back up through the bathtub drain, shower drain, or toilet, as these are the next lowest fixtures in your plumbing system. Due to the heavy use they receive, septic systems are prone to a variety of problems, the most common of which is a blockage or clog in the sewer drain. The intricacies of our plumbing systems usually remain out of sight, out of mind, so it is no surprise that we occasionally flush the wrong thing down the toilet. Sanitary and hygiene products, such as cotton balls and wet wipes, are sometimes flushed down toilets for easy disposal. Unfortunately, as these products are usually cotton or plastic-based, they do not break down in your septic system like toilet paper does, so they can gather together and create a blockage. These blockages grow over time, to the point where waste, water, and toilet paper can no longer drain properly through the sewer drain. Due to the pressure forced into the sewer drain each time we flush the toilet, this waste material can then be forced back through the sewer drain and up through the toilet. In some cases, this can result in the bathroom being flooded with hazardous waste and water which damages surfaces and poses a serious health risk. In this article, we will take you through the process of clearing a blocked sewer drain to show you the type of work involved in this crucial plumbing job, as well as to give you an insight into how your septic system works. We hope you find this information helpful, as we believe that home and business owners should always keep an eye on their septic systems to prevent these problems from occurring and to ensure a speedy repair when they do happen. Every plumbing problem needs to be properly diagnosed before it can be repaired. The first thing a professional drain plumber will do is seek as much information about your system as they can, as well as any details you might have regarding the problem at hand. 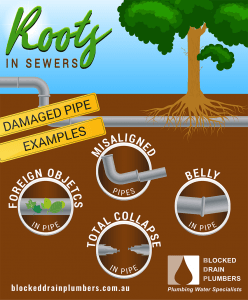 For example, if you have a blocked sewer drain, you should tell your plumber if any objects such as sanitary items have been flushed recently, or whether your plumbing system is prone to tree root invasions. Your plumber may use a drain camera to inspect the system more thoroughly, especially if they suspect that damaged pipes or joints might be present. This is important, as drain-clearing equipment such as power augers or high-pressure water jet cleaners can become snagged on broken pipes, resulting in further damage or the loss of expensive equipment. The cause of a blocked sewer drain can be located at various points throughout the system. The closer it is the fixture (in this case, the toilet bowl), the easier it should be to clear. Soft clogs, such as those made up of toilet paper and human waste, are often located near the toilet itself and can be dislodged with relatively little effort. In the case of a more serious blockage like those caused by flushed plastic or cotton-based products, the blockage may be further up the sewer drain, even right up to the point where the sewer drain from your premises connects to the municipal sewer system. This is why you should inform your plumber as best you can, as the location of the blockage will determine what tools they need to get the job done. •	Electric power augers: Also known as drain or plumbing snakes, these devices consist of a length of steel cable fitted to an electric motor. At the head of the steel cable is a bladed tip, which can be rotated like a drill through pressing a foot pedal connected to the motor. Your plumber will feed the cable into the sewer drain, feeling as they go to detect joints and bends, and when they encounter the blockage they will be able to clear it by using the blades to shred the clog. Power augers can be fitted with various sized heads to fit different sized pipes, but even a small head can clear a big pipe if it is manoeuvred properly by a professional. Keep this in mind if you see your plumber grinding away for a while with the power auger, it takes time to ensure the head has cleared any clogged-up material. •	High-pressure water jetters: These are a newer invention. Basically, they consist of a large length of hose fitted with a high-pressure tip with forward and rear facing nozzles. The rear facing nozzles propel the hose through the sewer drain, cleaning the pipe as it goes. Once the blockage is encountered, the forward facing nozzle is capable of delivering a blast of high-pressure water to break up the clog. These devices are the preferred tool for some plumbers when it comes to clearing blocked sewer drains as they are less likely to become caught on jagged edges, less likely to damage pipes, and can be used simultaneously with a drain camera for greater accuracy and efficiency. There are also specialised tools for clearing sewer drains, but unless your plumber is a sewer specialist, they will probably use one of the above tools to get the job done just as efficiently. For seriously blocked sewer drains, your plumber will need to clear the drain right up to the point where it connects to the sewer system in your street (or your septic tank if you are located in a less built-up area). This can be a lengthy process, so bare with us as we will need to use several tools to not only clear the blockage, but clean the sewer drain to prevent any more debris from collecting within in. The point where your home or business’s plumbing system connects to the municipal system is called the front cleanout point. All water flushed through your system passes through this point, so your plumber will often inspect the condition of this point to get an idea as to the overall condition of your plumbing system. If your plumber is using tools such as a water jetter or electric power auger, they may come and check the front cleanout point to obtain visual confirmation that the tool has extended right through the system, clearing anything which could have caused the blockage. If you happen to know the location of your front cleanout point, show this to your plumber when they arrive. If not, they can usually find it themselves without too much trouble. Once your plumber has used the appropriate tools to clear the blockage, they will run water through the sewer system to make sure it’s clear and to clean the pipes. If you have a bathtub or floor drain, this is where the water will be directed as it dumps straight into the sewer drain from here. Your plumber may use a camera to conduct a final inspection just to make sure that the drain is clear and the pipes are in good condition, then the job is complete. We hope you’ve found this insight into clearing sewer drains helpful. Hopefully it gives you the confidence to call a professional as soon as you suspect you might have a problem with your septic system, as these problems only grow worse the longer they are left unrepaired. If you need professional help on how to unblock blocked sewer drain, contact us on 0412 738 874 or leave a message. We will take care of your blocked drain problems. If your problem is an emergency plumbing matter or a burst pipe and you need urgent assistance contact us right away! 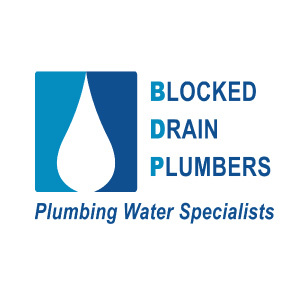 The Guys from Blocked Drain Plumbers, were really professional, easy to deal with and fast! They also explained what was wrong, in a way that I could understand. I will be using them again! Thanks guys, would definitely recommend you to friends and family.